Do you own a German Shepherd Mix dog? I'll bet you've seen one before - and you may not even have known it because in many cases they just look so "German Shepherd like". Turns out, German Shepherd Mixes are really, really popular. In fact if you run a Google search for them you'll find loads of listings for mixes such as a German Shepherd husky mix (very popular), German Shepherd lab mix, German Shepherd rottweiler mix, German Shepherd collie mix, and even a German Shepherd pitbull mix. But there are also searches for mixes like: German Shepherd retriever mix, German Shepherd chow mix, German Shepherd golden retriever mix, German Shepherd wolf mix, German Shepherd and boxer mix, German Shepherd doberman mix and even a Australian shepherd German Shepherd mix. And that's not even the tip of the iceberg. In fact, there are loads of German Shepherd mix breed dogs out there in all kinds of breed combinations. I'll bet if you took a survey, the majority of mix breed dogs you'll find in most shelters are labeled "German shepherd mix" to some degree. It seems those German Shepherds, yes, they do get around. And if you do have a GSD mix, then good for you because they can make really wonderful pets. And depending on their other breed heritage it is interesting to see how alike, yet how different, they can all be. And maybe you want to know exactly what else makes your own dog up, dog breed wise. Maybe your dog is part poodle, part retriever, part terrier, a little hound - who knows, but now you can find out fairly easily enough through a process called a dog DNA Test. And if you do decide to do a DNA test on your dog it just requires that you swab your dogs mouth and mail it in to the lab in the prepaid envelope included (in this particular kit). Then in a couple of weeks you'll get the results back and you'll know exactly what your little doggie is. And it's fairly cheap too. Now just why might this information be helpful to know? 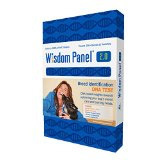 Well, for one thing, a Dog DNA Test can tell you about which dog breeds make up your dogs heritage which could easily help you to understand more about why your dog acts the way he does and to help you better target things like training, food and even potential health issues since, as we all know, these can widely differ from dog breed to dog breed. So, either way, no matter what kind of German Shepherd you have, a purebreed GSD or a mix, we'd love to hear from you about your dog. And if you have a German Shepherd Mix, you can tell us all about it in the box below and we'll post those stories for you all on it's own individual page. We would all love to celebrate your own GSD mix and enjoy its uniqueness. Do you own a German Shepherd mix? Tell us all about your GSD mix. Any kind of German Shepherd mix breed stories are welcome here - and pictures too please. Also, please make sure that your story is at least 250 words or more (more is even better too!). And just so you'll know, really short entries will not be accepted - sorry. So please check your word count accordingly. After all, once you start sharing, 250 words or more, will not take any time at all - in fact, I'll bet you will write even more without thinking about it! its a gsd mix, don,t know the actual breed, plz try to help me, tell me the actual breed, i am eagerly waiting for your reply, plz help me.